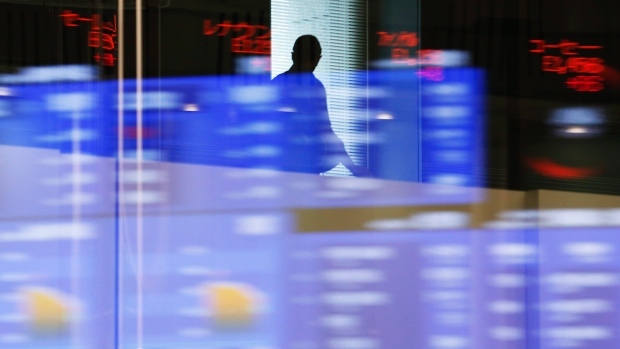 The global economic landscape was the big worry for investors around the world Tuesday and that saw a decline on the Toronto Stock Exchange as domestic stocks tracked other markets. A sell-off in high-yield bond markets and Greek debt are among the issues causing some nervousness currently. Asian markets closed mixed with the Australian federal budget and weakness in China being closely watched. In Europe it was the bonds sell-off that weighed heavily and most major markets ended lower. Canada’s economy will grow by 1.5 to 2 per cent this year and unemployment will continue to be higher than normal. That’s according to an updated forecast from Moody’s Investors Service which says that oil prices and weaker-than-expected growth in the US will have a negative impact on Canada. The credit agency forecasts that unemployment will fall between 6.5 and 7.5 per cent over the next two years; currently it is at 6.8 per cent. New figures from Canada Post show that 76 per cent of Canadian households shopped online last year. A quarter of those are now shopping between 4 and 10 times a year. The data shows that some products which would not have been bought much online a few years ago are now surging; toys and games have increased online sales by 37 per cent. Air Canada will not be ditching fees for bags, seat selection and upgrades despite the lower fuel costs. In line with WestJet the airline says that it will continue with charges which are fairly widespread across the international airline industry. Profits at the company have increased recently due to a 25 per cent drop in fuel costs. The cost of bringing up children in Canada has dropped over the past 15 years according to information obtained by CBC News. A briefing note prepared for finance minister Joe Oliver looked at costs including food, clothing, transportation and healthcare for children in Manitoba and found that the cost was down from 17 per cent of after-tax income in 1998 to 13.5 per cent in 2013. For the lowest income families the cost was down from 42.5 per cent of after-tax income to 31 per cent.